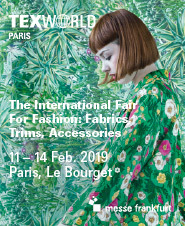 PREVIEW: Taking place twice a year at Paris - Le Bourget, Texworld Paris, with more than 700 exhibitors, offers professional buyers a rich variety of products from basic to creative high-end fabrics of excellent quality. 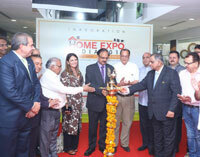 Moreover, find a “Small Quantity itinerary” and an “Eco Itinerary” showcasing around a 100 sustainable textile suppliers. Also, you will be able to find a selection of 25 firms which are in position to respond to the requirements of the most demanding contractors and regrouped in the Elite sector. As part of this sourcing galaxy, and taking place at the same time and location, Apparel Sourcing Paris, the number one European trade fair for worldwide apparel sourcing and Shawls & Scarves gather around 300 manufacturers with a wide range of products for men, women, children and accessories including the entire price spectrum. Mixing high-tech with Fashion, Avantex Paris integrates products and innovative services of the industry, from advanced materials to augmented retail. It assembles startups, designers and brands to create smart collections and open new markets. 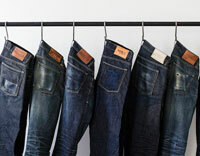 Texworld Denim will bring synergies between jean makers and Denim fabric manufacturers. The show will unite the Denim offer with more than 50 producers. Launched in September 2018, Leatherworld Paris, regroups 50 manufacturers of leather goods, pelts and fur, and aspires to be THE leather industry sourcing platform in Europe. 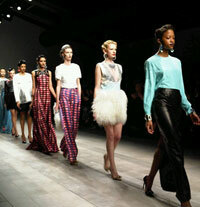 At last, do not miss all the conferences, catwalks and other animations that will enlighten the shows!